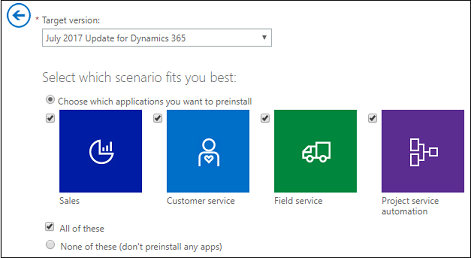 In some documentation we previously referred to Dynamics 365 (online) when we were talking more specifically about Dynamics 365 for Customer Engagement applications (apps). 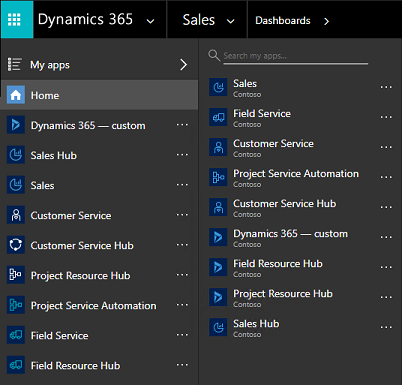 We have changed this in our current documentation so that it’s clear when we are referring to the collection of apps that include Sales, Customer Service, Marketing, Field Service, Project Service Automation, and their related services rather than the whole Dynamics 365 product family of applications and services, which includes Finance and Operations, Talent, Retail, and Business Central. You may still see “Dynamics 365 (online)” in some user interfaces (UI). Those strings refer to Dynamics 365 for Customer Engagement apps. We're excited about the release of Dynamics 365 for Customer Engagement apps version 9.0 and hope you're eager to try it out. New and existing customers have different options to take a look at Dynamics 365 for Customer Engagement. If you are a partner signing up on behalf of a customer, or are using this trial for development purposes, go to https://trials.dynamics.com/Dynamics365/Signup/#. You'll have the choice to add your trial to an existing tenant. You will also need to decide which apps to install when you start your trial. For more information on which scenario is right for you, see Installation options below. If you're a new customer, we've made onboarding quick and easy. See the following for information on these applications available with Dynamics 365 for Customer Engagement. On any of the above pages, scroll down and click Get Started to start a 30-day trial. For more information on which scenario is right for you, see the Installation options section below. If you already have a Customer Engagement subscription, there are a couple ways to see the latest version in action. You can start a 30-day trial of Dynamics 365 for Customer Engagement and try out one or all of the customer engagement applications. This trial uses the Customer Engagement Customer Engagement Plan license. You're allowed one trial per tenant. If you've already done a trial of Customer Engagement, you cannot do another trial. However, you can reset a Sandbox instance to the latest version or to one of the previous versions. See Use a Sandbox instance below. Choose an app. You can add more apps later. If you are customer, fill in the information and choose Get Started (#1). If you are a partner signing up on behalf of a customer, or are using this trial for development purposes, choose Sign up here (#2). For more information about the scenario choices, see the Installation options section below. Get the most out of your free 30-day Dynamics 365 for Customer Engagement apps trial. How to buy Dynamics 365 for Customer Engagement. If you already have a Customer Engagement subscription, you can use a Sandbox instance to try the latest version of Dynamics 365 for Customer Engagement. Browse to the Microsoft 365 admin center and sign in using Office 365 Global administrator credentials. Click Admin centers > Dynamics 365. 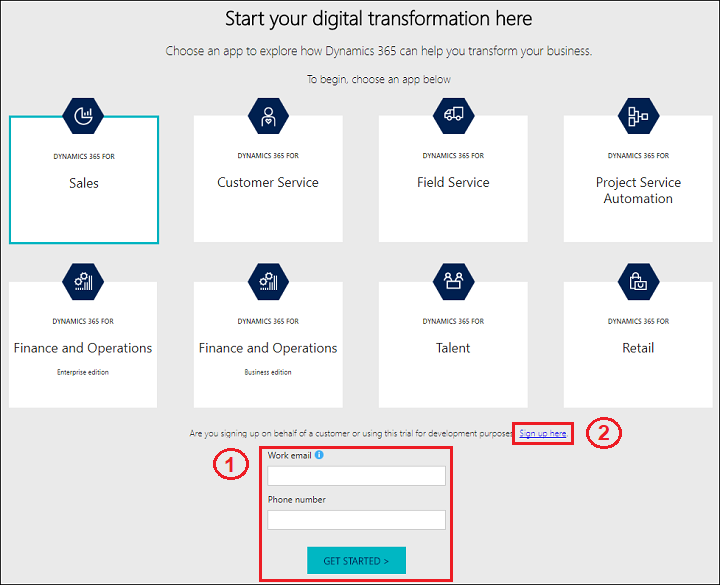 Select the Sandbox instance that you want to provision with the latest version of Dynamics 365 for Customer Engagement, and then click Reset. Select the Target version, and then select Dynamics 365 for Customer Engagement. Select a scenario. For more information about the scenario choices, see the Installation options section below. Choose the "None" option to have a blank slate for building your own custom application. You can choose to start a trial for all Customer Engagement offerings, a mix of offerings, or none. Each choice installs a different set of apps, which are displayed in the app switcher. The following table shows what’s installed for each choice, what you see in the app switcher, and where you can use it.